Motivational books are a far-reaching category, and covering the best motivational books a far-reaching task. We could stretch back 50 or even 500 years to discuss the best-of-the-best-ever. But instead what we’re providing you here are the today's top ten motivational books … the most life-changing, motivating, captivating, and raved-about books written for people living today. This cutting-edge and life-changing motivational book was a #1 bestseller in multiple countries including the U.S., Australia, the U.K., Canada, and South Africa. Author Brian Vaszily – one of today’s most renowned and respected life transformation visionaries who has appeared on ABC, CBS, NBC, Fox and beyond – took over a decade to create the books, and it has been nominated for a 2011 Books for a Better Life Award. Therapists and life coaches throughout the world recommend it and use it with their clients. It is far different from any of the other motivational books you’ll read, and it is practical and quite enjoyable. World-renowned spiritual leader Chris Cade called it one of his “Top 5 Books Of All Time." If you REALLY want to get (and stay!) motivated, read this #1 of the best motivational books. This motivational book is not another guide to Buddhism. Instead it is a highly readable guide to how to use the most important principles from Buddhism – made crystal clear for Western readers – to be happier. It is written by one of the world’s most respected Buddhist teachers. Read it with The 9 Intense Experiences above if you really want to change your life! Discover more about this #2 best motivational book. If you are looking for a book to motivate the kids, this one is magical! Author Bea Grace Curri employs a fun alphabetical list to motivate a “Yes I Can!” attitude in children. Bee-lieve it -- while you are reading the two motivational books above for yourself, this one is perfect for the kids! Read more about #3, Bee Attitude: A Positive Motivational Book for Kids. If you are seeking to get motivated in the workplace … and to reduce stress there while you are at it … this wonderful book by life coach Lynda Barbaccia is a must-read! It is filled with powerful techniques to bring happiness back into your business life, and was awarded the Best Business / Motivational Book of 2010. Learn more about the #4 best motivational book, Simple Wisdom for the Not So Simple Business World. Looking for a book on motivation from the more social sciences side of things … that will get you to think while also motivating you to act? Read "Drive," a bestseller by David Pink! The New York Post wrote that, "Pink's a gifted writer who turns even the heaviest scientific study into something digestible-and often amusing-without losing his intellectual punch." Find out more about the #5 motivational book, Drive: The Surprising Truth About What Motivates Us. 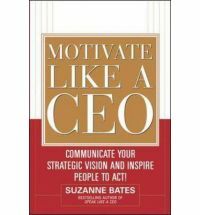 If you are seeking to motivate others in business, this book by Suzanne Bates is a top winner! As Robert Chappell, CEO of Penn Mutual Life Insurance Company noted, "Motivate Like a CEO tells you why, then how to motivate an organization. Discover more about the #6 best motivational book, Motivate Like a CEO. Part-memoir, part personal growth guide … and 100% motivational! This book will have you considering the unfinished business in your life, and inspire you to finish it so you can be happier, more at peace, and achieve greater success. Learn more about #7 of the motivational books, Unfinished Business. Author Keven Hall enables you to unlock your potential in this wonderful and clever book. As Stephen R. Coven writes in the book’s forward, "this masterfully written book will help you understand that words have an inherent power, a force capable of lighting one′s paths and horizons. Used correctly and positively, words are the first building blocks for success and inner peace. Used incorrectly and negatively, they are capable of undermining even the best of intentions. This is true in business, in personal relationships, and every other walk of life." Learn more about this #8 best motivation book. Author Tal Ben-Shahar delves into the sciences to demonstrate how you can be happier and more motivated in your life. As Martin Seligman, the pioneer of positive psychology, noted, "[Tal Ben-Shahar has] a rare brand of good sense that is embedded in scientific knowledge about how to increase happiness." Discover more about the #9 best motivational book, Being Happy. Perhaps you are seeking to motivate your son or daughter. If so, Richard Lavoie’s book is the answer! As author Donna Goldberg noted, “Rick Lavoie reminds us on every page that we all possess the power to shape a child's future. 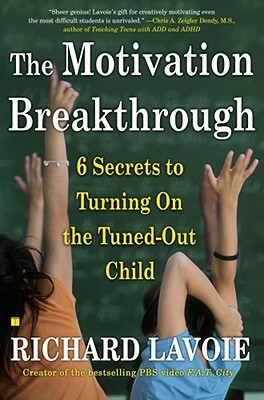 The Motivation Breakthrough offers concrete strategies and reveals the most powerful and effective secrets for boosting a child's confidence, self-esteem, and motivation." Find out more about #10 of the best motivation books. 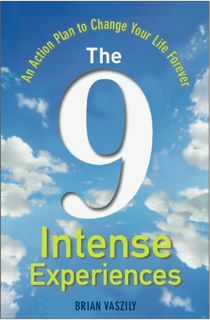 So from The 9 Intense Experiences: An Action Plan to Change Your Life Forever to The Motivation Breakthrough: 6 Secrets to Turning On the Tuned-Out Child, there you have today’s ten best motivation books!